Private lessons are offered on a weekly basis for children age 6 and older. Our instructors are qualified with ARCT in piano and/or a Bachelor’s degree in music. An instrument at home is required for daily practice. Classes start in September but if spaces are still available, you can register any time and your fees will be pro-rated. 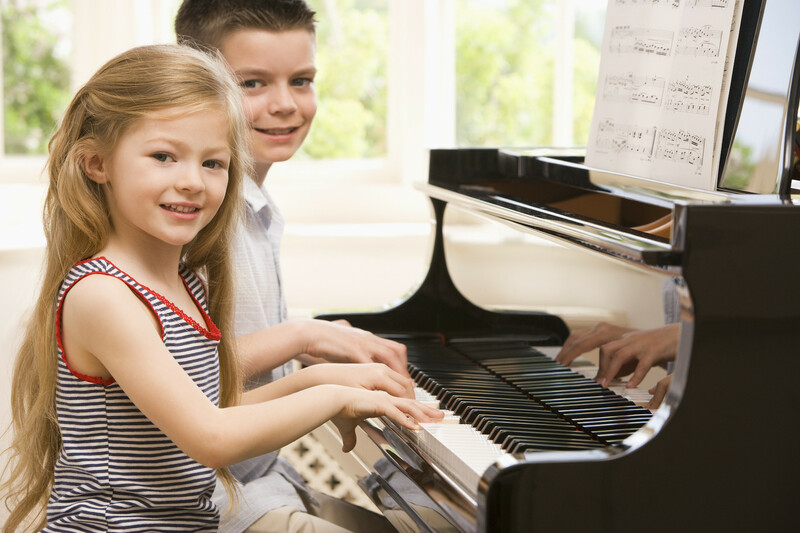 Children wishing to take Suzuki private instrumental lessons can start as early as age 3 or 4. However, you must contact Nicole Wilton prior to registering. We are the first and only location in Saskatchewan to offer Suzuki Guitar. One of the most frequently asked questions is whether a student should take Traditional or Suzuki lessons, and what exactly the difference is between these two methods. Although the following points give a brief overview, it is important to keep in mind that there is a wide range of differences from one teacher to the next within each method. Many traditional teachers incorporate Suzuki concepts into their teaching, and the Suzuki method is often modified in practice. The most striking difference between the two approaches is the fact that the Suzuki method involves the parent 100% of the time, which enables students to start lessons at a much earlier age than traditional lessons taken without parent supervision. A student may start as young as 4 with a certified Suzuki teacher. In both Suzuki and Traditional methods, the role of the parent or caregiver is crucial to the success of the student. The parent’s role is much more intensive in the Suzuki method, however. The parent is expected to attend every lesson and take notes. They become the “home teacher” and are expected to actively participate in their child’s practice, reinforcing concepts learned in the lessons. In traditional lessons, the parent may or may not watch the lessons, depending on each situation. The parent’s role is to provide an adequate practice environment with good lighting, free of noise and distractions, and to ensure that the practice takes place as scheduled according to the teacher’s guidelines. They should make sure the student arrives to his or her lesson on time, has all books and materials, and is picked up on time. Parent responsibilities beyond these vary greatly from teacher to teacher depending on the age, goals, and personality of each individual student. Suzuki method emphasizes watching and listening first, following the philosophy that children learn to play music through immersion in the same manner they acquire language and other skills – music is first and foremost about sound. Children learn to say new words only after they have heard them spoken hundreds of times. In the same way, it is essential that children listen to recordings of the pieces many times and become thoroughly familiar with them in order to play them beautifully. Note reading is introduced after students learn to play, just as they learn to read after learning to speak. Since traditional teachers usually start a student at age 6 or later, note reading is typically introduced much sooner, often at the same time they are learning to play. 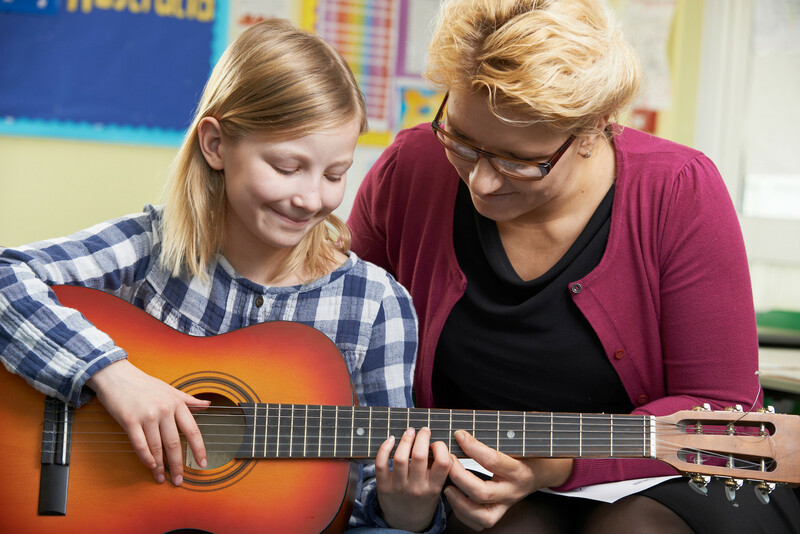 It is worthwhile to note that the Suzuki method has proven to be effective with any age student, and many traditional teachers incorporate the Suzuki model of listening and watching first into their traditional teaching. Many traditional teachers use the Suzuki repertoire books as well, since they contain classic standard literature and are sequenced to develop musical and technical skills. An important element of the Suzuki method is a group lesson component. Students learn by watching each other in a cooperative setting. There is a wide variety from teacher to teacher regarding the frequency and exact format of group lessons —some have weekly group classes in addition to private lessons, and some include group classes monthly or on a less frequent schedule. In general, Suzuki group classes are meant to be fun, interactive sessions where students develop friendships as well as polish musical skills. Classes may include musical games, theory, and performing for one another, for example, and always are presented in a relaxed environment where students leave with a sense of accomplishment and joy. Traditional lessons are typically one-on-one private lessons only. Although students are often encouraged to join ensembles and orchestras as they become more advanced, there is no expectation of group instruction as part of the curriculum. What's the difference between Suzuki VS Traditional methods?